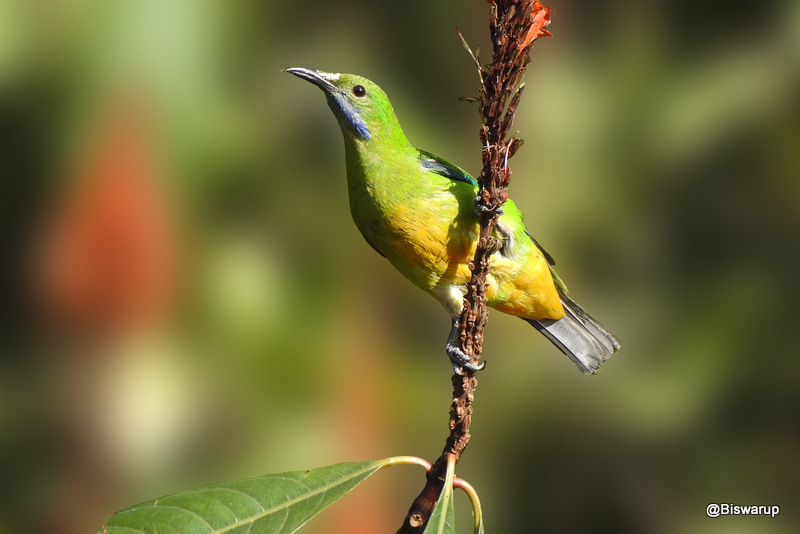 The orange-bellied leafbird (Chloropsis hardwickii) is a bird native to the central and eastern Himalayas, Yunnan and northern parts of Southeast Asia. The scientific name commemorates the English naturalist Thomas Hardwicke. Amazing details and focus. Very nice bird. Attractive photo of this Leafbird in beautiful light. Excellent sharpness, pose and blurred background. I really like the beautiful colors of the bird! What a great variety of birds you have there in your country! Latpanchar o to dekhchi darun jaega for bird. Have to go one day. Beautiful picture.